Welcome to the official website of the Township of Scotch Plains, NJ. The government of Scotch Plains is committed to keeping you informed of important news and events and emergency situations. Sign up to receive text alerts from Code Red or Union County First Alert. Sign up for our email advisories and, check this website often for updates. Online Tax Bill and Sewer Bill Payments are now available on the Township website. Making your payment online is fast, easy, and safe. In just a few minutes, your transaction will be complete. You can choose to pay by a Checking Account ACH Payment (e-Check) or by a Credit Card Payment. To accommodate those who cannot get to the Municipal Building during normal operating hours, a locked Dropbox has been installed in the vestibule of the Police Department. The Township has developed a committee comprised of approximately 20 members that includes Township officials, business and property owners, local residents and other experts. The landing page can be accessed by clicking here. The Township of Scotch Plains has simplified the Online Tax Payment process through a new one-stop landing page. The new link allows residents to find their property by name or address and then directs the amount due for taxes and sewer payments. Click here to access the new landing page. To help preserve the local roads in Scotch Plains, the Township has implemented a Report a Pothole form for residents. We ask that all residents please place all leaves, gumballs and branches in separate piles leaving a small gully before the curb for pickup. Please note branches need to be cut to no longer than 6’ in length and 2” in diameter. No logs or stumps will be taken. Please note Township ordinance prohibits putting vegetative waste at the curb ten days prior to scheduled pickup. Pick-ups will begin April 22 – One Pick-up only. Hundreds of residents and their families turned out on Saturday morning to participate in Scotch Plains' annual Easter Egg Hunt at Brookside Park as kids scrambled to collect eggs filled with goodies in their baskets. The event was met with great satisfaction and featured a special appearance from the Easter Bunny. The newly-appointed Scotch Plains Green Team is gearing up for Earth Day 2019 as it works with the Township Council towards Sustainable Jersey certification. “I am committed to working alongside the Green Team and the township to make Scotch Plains a greener, more sustainable community,” says Councilwoman Elizabeth Stamler, the governing body’s liaison to the Green Team and the Environmental Commission. Click here to read the entire press release and upcoming activities planned. The Township will be hosting a Party for the Planet event on Saturday, April 27 from 9 a.m. to noon on the Alan Augustine Village Green. Tree seedlings will be distributed while supplies last! For more info and event updates please call 908-322-6700 Ext. 223. The 2019 Edition of the Public Property Messenger contains important dates and information regarding the annual services the Township's Department of Public Property provides. To download the Messenger for printing, click here. The Scotch Plains Police Department has now begun enforcing permit parking around the high school with its new electric parking enforcement vehicle. The streets effected are Church Avenue, Portland Avenue, Westfield Road Circle, Evergreen Avenue, Sunset Place, West Court, Monica Place, Carol Place, Cedar Street, Happle Court, Old Farm Road, Concord Road, Muir Terrace & Watchung View Terrace. Currently, the SPPD is issuing warnings and will begin issuing summonses shortly! Scotch Plains-Fanwood High School will host its annual Project Graduation Food Truck Festival on Sunday, May 5 from 12-5 p.m. at 667 Westfield Rd. Proceeds from the event will benefit the students at SPF HS. On Tuesday, May 14, 2019, the Fanwood-Scotch Plains YMCA and the Scotch Plains-Fanwood PTA Council will partner together to host a 5K and Family 1 mile walk/run. The “United for a Cause” 5K is a healthy community event that will “give” back to local families and students. Many of the YMCA's local students choose to pursue a career in the health and wellness field and this event will acknowledge a student(s) positive intentions by providing scholarship monies to put towards their college, school or training program costs. Click here to register for the annual race. Any questions regarding the LIVESTRONG® at the YMCA please contact Sheri Cognetti at scognetti@fspymca.org. The Township of Scotch Plains and Borough of Fanwood is proud to announce it will be hosting its annual Memorial Day Weekend festivities this year. The events will start with a Memorial Day Concert on Sunday, May 26 at 6:30 p.m. at the Alan Augustine Village Green adjacent to Town Hall. The following day, there will be a special ceremony at The Gazebo on Park Ave. & Front St. at 10 a.m. and the Memorial Day Parade will follow that. Click here to download the application if you are interested in participating in the Memorial Day Parade this year. If you are interested in becoming a sponsor of this year's Memorial Day Concert, click here to download the form. * Please have all responses in by April 30th. SP-F Memorial Day Parade shirts are available for purchase in white or blue for a $25 donation. Please contact Bob LaCosta's office at the Scotch Plains Municipal Building (908-322-6700 ext 308). Payment accepted in cash or by check made payable to the Township of Scotch Plains. The SPF PAL will sponsor a discounted early-signing registration period for the 2019 football season. During the early-registration period - families will receive discounted prices that will be in effect from from April 15 through June 2. To cleanse the system, we systematically open our fire hydrants to increase water flows – allowing us to “flush” any minerals and deposits from the pipes. While flushing the system won’t interrupt your water service, when crews are working in your area, you may notice a temporary drop in water pressure or discolored water. This is normal. If this happens, simply let your water run until it is clear. NOTE: If your laundry becomes stained, DO NOT PUT YOUR LAUNDRY IN THE DRYER. Rewash clothes immediately using detergent and add a rust remover. Most rust removers can also be used on stained fixtures. In some cases, slight discoloration might linger for a few hours. This discoloration only affects the appearance of the water and does not affect water quality. No health hazards are associated with discolored water from hydrant flushing. If water pressure or water volume seems low after flushing has been completed, check your faucet screens for trapped particles. Customers also have the option to be updated on the local flushing schedule via phone call, text or email by enrolling in New Jersey American Water’s CodeRED customer notification system at www.amwater.com/myaccount. Out of sight does not always mean out of mind, especially when it comes to your home. Before you rinse anything down your kitchen sink or flush anything down the toilet it is important to be cognizant of the potential consequences. Click on the graphic to view tips and recommendations to protect your home. The Township of Scotch Plains will host the 4th Annual Patrick's Downtown Race to Summer 5K on Thursday, June 13 at 7:30 p.m. The race will be preceded by a one-mile Fun Run for children under 10 years old at 7 p.m. There will be also be post-race celebration on the Alan Augustine Village Green and BBQ provided by Stage House Tavern, a Beer Truck and a live performance. Registration for the 5K is $25 (before June 6) and the one-mile Kid's Fun Run is $10. Click here to secure your spot and register for the race. Sponsorship opportunities are still available! For more information on this race visit https://www.scotchplainsnj.gov/race-to-summer-5k/. If you are interested in becoming a sponsor or volunteering, please email patricksdowntownracetosummer5k@gmail.com. 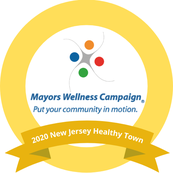 As part of the Mayor's Wellness Campaign, Mayor Al Smith will award the Mayor's Medal to anyone completing three of the runs/walks in town this year. Run or Walk Your Way to the Gold and to Good Health! The Scotch Plains Police Department wants your help in reducing crime by voluntary taking part in our camera registry program. The program allows residents and business owners to register their video surveillance systems and other video devices with the Scotch Plains Police Department. When a crime occurs, police will have the ability to identify locations of nearby video cameras and seek the assistance of the c to help our officers collect video evidence and follow up on investigations of criminal activity. Spring is here and that means getting outside to clean up our properties. Please keep in mind that the township ordinance (see below) prohibits residents and residential landscaper or maintenance workers from using power tools, home maintenance tools, landscaping and/or yard maintenance equipment between the hours of 8PM and 8AM. Excluding emergency work, power tools, home maintenance tools, landscaping and/or yard maintenance equipment used by residential property owner or tenant shall not be operated between the hours of 8:00 p.m. and 8:00 a.m., unless such activities can meet the applicable limits set forth in Table I, II or III. At all other times the limits set forth in Tables I, II or III do not apply. All motorized equipment used in these activities shall be operated with a muffler and/or sound reduction device. 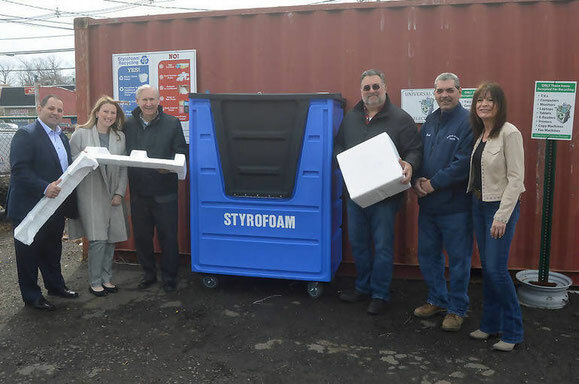 Scotch Plains residents (ID Required) can drop off Styrofoam at the Scotch Plains DPW, located at 2445 Plainfield Ave., on Thursdays between 8:00 a.m. and 2:30 p.m. Union County is coordinating the new program and providing collection bins, signage and educational brochures. Styrofoam is the common name for polystyrene, which comes under the Plastic #6 recycling category. Residents who use the drop-off locations can help ensure that the program is successful by following the recycling rules. The list of unacceptable items includes all food service items, packing “peanuts,” egg cartons, and any dark colored, wet, or dirty foam. Click here to read the entire story on TAP into Scotch Plains-Fanwood for more details on the program. Scotch Plains again ranks in the top 100 safest cities in New Jersey according to a 2019 report published by the National Council for Home Safety and Security. Scotch Plains is the 9th highest ranked town in Union County and one of only 10 Union County towns to make the Top 100. The Township of Scotch Plains launched Recycle Coach last week, a free app designed to help make recycling information more accessible to residents. Recycle Coach provides accurate up-to-date information on Scotch Plains recycling schedules in a handy, user-friendly app format. Residents can access Recycle Coach from their mobile devices, desktop computers, or through digital assistants like Amazon Alexa and Google Home. TheRecycle Coach app is available to download free of charge on the Google Play and the Apple iTunes Store. Click here for more information and to read the entire press release. Click here to watch the Facebook video promoting the new mobile application. Scotch Plains Township Manager Al Mirabella announced that Moody's Investor Service has reaffirmed Scotch Plains' Aaa Bond Rating in their Annual Issuer Comment Report (AICR) for the Township. According to Moody's, "Scotch Plains has an exceptional credit position and its Aaa rating is much stronger than the median rating of Aa3 for US cities. Notable credit factors include a robust financial position, and a sizable tax base with a very strong wealth and income profile. The credit position also incorporates the Township's low debt burden and a somewhat elevated pension liability." Click here to register for New Jersey's Special Needs Registry for Disasters. Effective immediately, recycling will no longer be picked up if it is bagged as the guidelines for recycling processing have recently been updated. This includes clear plastic bags. Specific protocols on recycling contamination have been revised this year with significant changes affecting the industry worldwide. When non-recyclable items (contamination) end up in recycling loads, they have the potential to turn the entire load into the trash and increase processing costs resulting in contamination and/or result in additional service charges. Please note that recycling should be placed at the curb in appropriate bins or containers as recycling placed in plastic bags will not be picked up. The Township does not supply recycling bins or containers. * IF YOUR RECYCLING IS IN PLASTIC BAGS, IT WILL NOT BE PICKED UP! For more information on the Recycling Do's and Don'ts, please refer to the graphic below or visit www.recycleoftenrecycleright.com. In an effort to curb pill and painkiller abuse, the Scotch Plains Police Department has launched the Project Medicine Dropbox for expired medications in pill form only. For safety reasons, the Project Medicine Dropbox can only accept solid medications such as pills, patches, inhalers and similar objects. No liquids, medical waste, or syringes are allowed. Consumers wishing to dispose of these objects should consult their doctor or pharmacists to identify the best way of getting rid of them. Once a medication is placed in the box, it cannot be retrieved at any time. Double check the medications you are depositing to make sure you are not putting any current medications in. The collection box is located in the lobby of the Scotch Plains Police Department office on 430 Park Ave. Residents have access to the medicine dropbox 24 hours a day, seven days a week. If residents are interested in dropping medicine off beyond office hours, they must check in at the intercom at the side of the building to be buzzed in. Union County Surrogate James LaCorte will host evening hours at the Scotch Plains Township Hall (430 Park Avenue, Room 202) by appointment only for the convenience of local residents. The Surrogate is responsible for administering the estate of a deceased person and judging the legitimacy of wills.